Last week I got a note to call Charlie Mars. He had wanted to drop off some promo CDs of his new album. "Maybe some of you will even like it," he said over the phone. 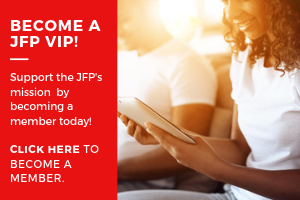 He walked through the front door of the JFP office about 15 minutes later wearing a leather jacket, skinny jeans, a low V-neck T-shirt and a gray tweed hat. The nationally recognized singer-songwriter from Laurel, Miss., just released "Like A Bird, Like A Plane" on Rockingham Records, which he calls an effort to get "back to the basics" after recording five major label records. Jazzy piano, acoustic folk guitar, and Mars' vocals coat each track with a smooth finish. I spoke to Mars the week of his CD release party at Hal & Mal's, which happens in the Red Room this Friday, Dec. 19. Well I think it's rooted in folk music and a cross between Paul Simon "Graceland" and Willie Nelson "Teatro." That's a hard question to answer. You reference Pink Floyd on the track "Listen to the Darkside" on your new album. When did start listening to their music? "Wish You Were Here" was one of the first albums that I gotwell, first CDs that I gotand it kind of started from there. Before, I would mostly listen to stuff that was on the radio or that my parents listened to, but that was one of the bands that opened my eyes to the idea that music could be a lot more than what I had previously thought. Have you ever watched "The Wizard of Oz" synched up with "Dark Side of the Moon"? Um hmm. In fact, I think, we're going to shoot a video for ("Listen To the Darkside"), and there's going to be all these strange little cameos of characters from "Wizard of Oz." You've been working on "Like A Bird, Like A Plane" for three years. How is this album different from the other albums you've worked on? Most of the albums that I've made previously were done in layers, where we would track the drums and then build the track on top of it. And then this record, for the most part, was recorded live. I think everybody that worked on it did a really great job. It just shows you that the people that played on the record were really, really talented and inventive and creative. I mean, five of the songs have a live vocal with the bands that are on the album. Six of the 11 songs on the album are first takes. What life or musical experiences have influenced your songwriting on this album? Before 2004, I had been touring, touring, touring and working non-stop, so some of my friends in Oxford (and I) just started going to house parties and having kind of a normal (life)you know, getting to go out on weekends and stuff. And my friends here listen to a lot of dance musiclike Justice and LCD Soundsystem and a lot of hip-hopthat I really wasn't exposed to that much prior to the last years. So I think the "more rhythm than rock" aspect of all these dance parties that we were having kind of informed this record. I mean, I wanted it to groove hard. And I listed to Daniel Lanois while recording a lot, a lot of the records he worked onlike U2's "Joshua Tree," Emmylou Harris' "Wrecking Ball," Willie Nelson's "Teatroԗso that's kind of where I got a lot of the inspiration for the production on the record. 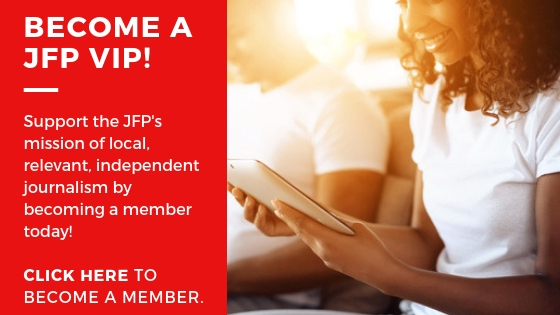 When you stopped by the JFP offices last week, you talked a bit about your efforts to rebuild your audience back in Mississippi. Would you explain that? Well, it's pretty simple. I think the whole idea of making this record was just about getting back to the basics. I've lived in Mississippi most of my life, and when I go and tour outside of here and have successes, it feels a little hollow if I don't at least make as much of an effort to play at home and have people that come out and show their support, and I show my support for them. I think it all starts with that. Join Charlie Mars as he hosts a CD release party for "Like a Bird, Like a Plane" in Hal & Mal's Red Room Dec. 19. Doors open at 9 p.m., $10 cover. The album is available at Be-Bop Record, iTunes and will be at the release party. Check out Mars' music at charliemars.com.